Thanks for this! 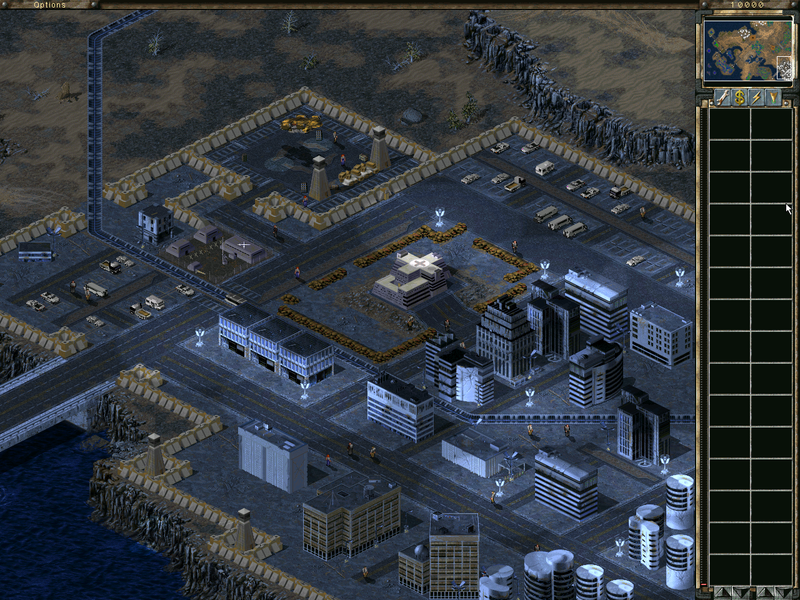 I like the asymmetrical layout and the tiberium fields are excellent. There are also many other nice design ideas including the caves/waterfalls/islands. You haven't covered the map with neutrals either, which is an easy temptation. However, I do have (lots of) constructive criticism which hopefully you'll take in your stride. I've taken some screenshots to demonstrate. 1. There are lots of noticeable shore errors. You don't have to do it manually, you just need to notice when the pieces do not join together properly. 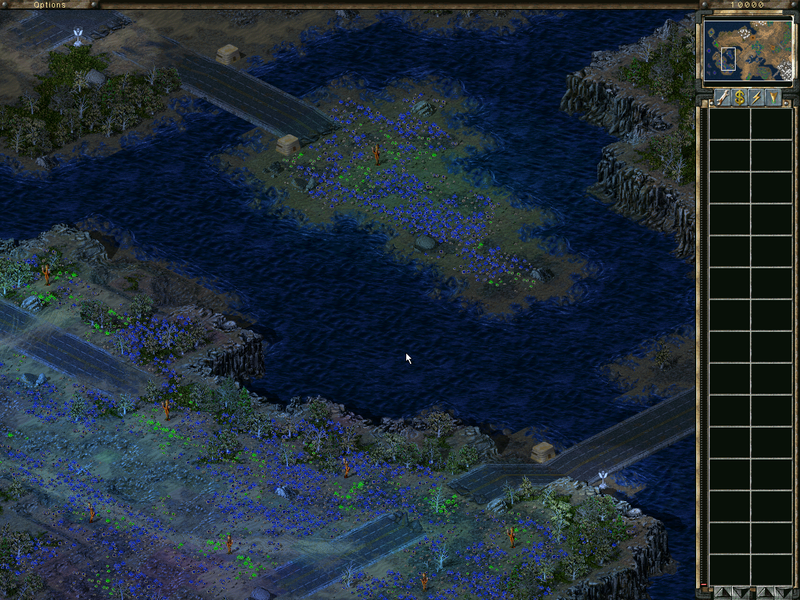 Also, you need to place the basic 1x1 swamp tile around the ones you have used to stop them looking square. 2. Your train isn't working properly, only a locomotive appears. I think (but I'm not sure) that the train needs to be one taskforce, not seperate taskforces for each component. You also painted veins over the veinhole itself, causing a graphical problem. 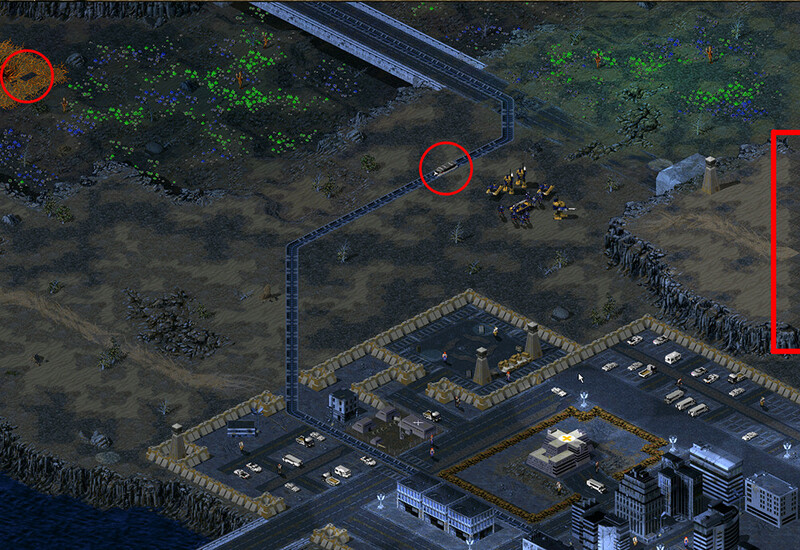 The fact you cut the cliff in half to place the tracks behind it also shows up. 3. 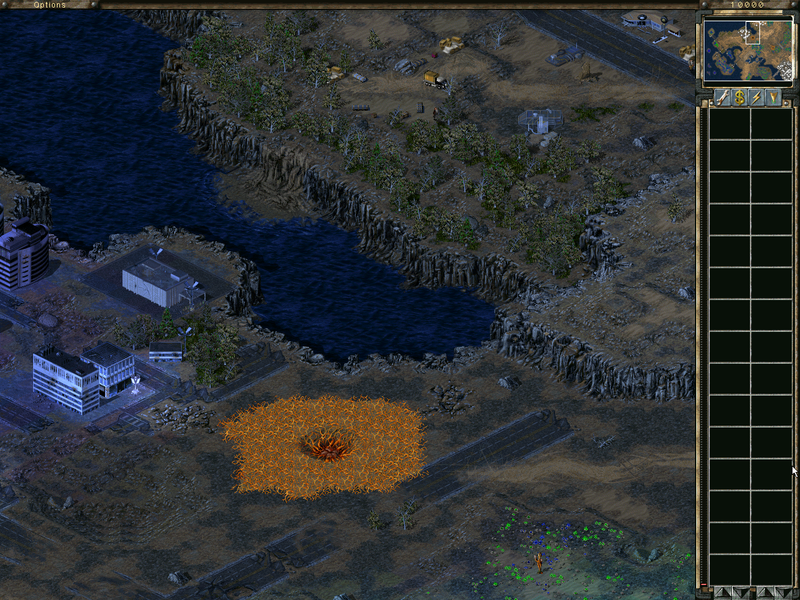 Placing lots of wall near a spawn point means the AI deploys a lot of artillery to destroy it (they just do that). 4. Your cliffs are incomplete. 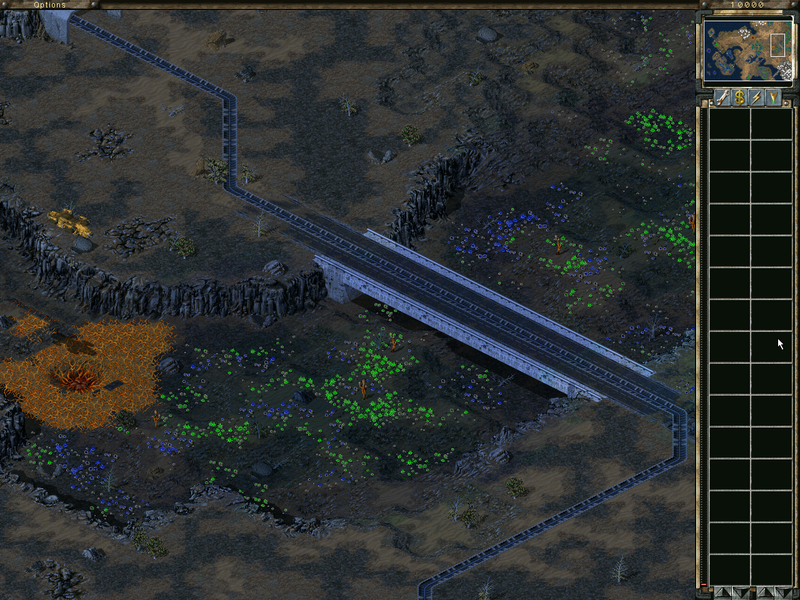 There should be a 1x1 border around all cliffs, but you have not used the c34a1 piece. You also painted over one of your cliffs with road. That looks like a lot of problems, but they're small and easy fixes. Search this forum for the "Marble Madness" add-on so you can work on the cliffs with the fourth screenshot UI. When the top veinhole is destroyed in game, you get 1 cell lowered than the surrounding. 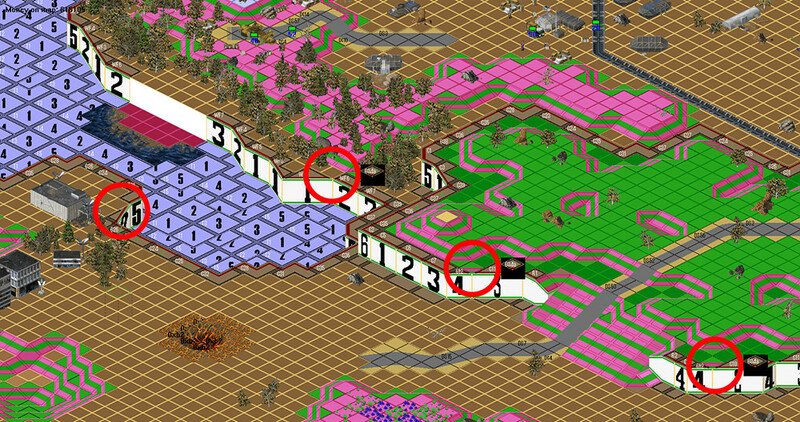 Bottom veinhole is placed at map height 0, causing graphical glitch. Raise the height for this. 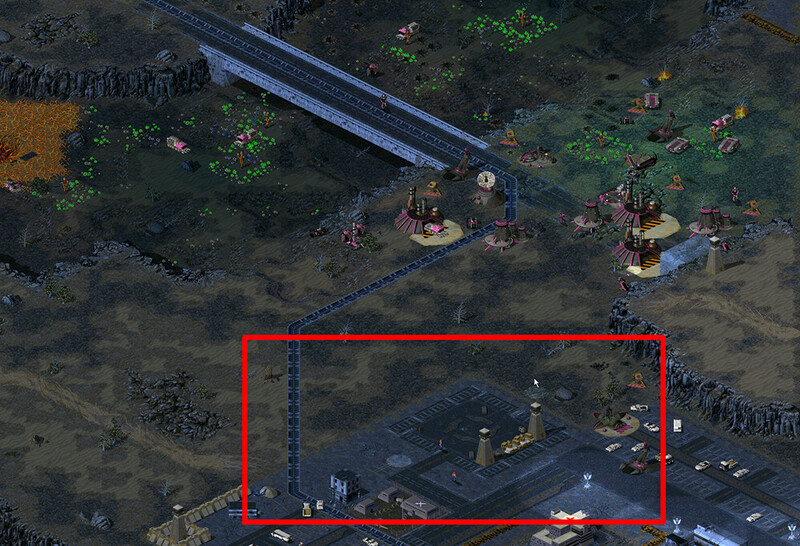 Better to place them on a 2x2 lowered ground by 1 height, compared to the surrounding. Top-right corners gives visual problems because of empty height difference. @Disgrace - one image is already not coming on imgur. Edit: AI destroying walls is controlled by DestroyWalls=no/yes in difficulties. Can be disabled in maps. Yeah, not bad at all. Some room for improvement as Disgrace has already pointed out to you, but a great solid start!